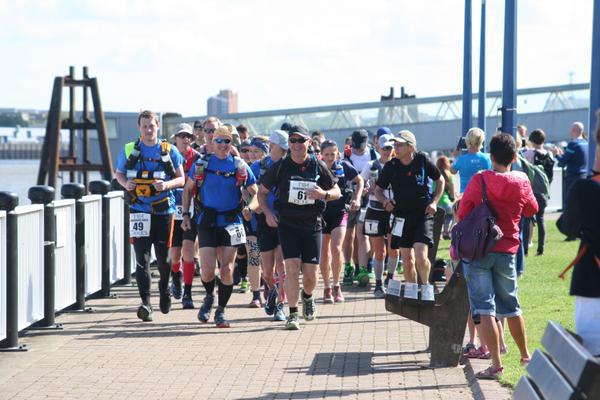 The T184 Endurance Race is a 184-mile self-supported Ultra Marathon event covering the length of the Thames Path from the Thames Barrier to the source of the Thames within 80 hours. This is an event I am involved in helping organise and also an event I had unsuccessfully attempted last year stupidly quitting at 114 miles. 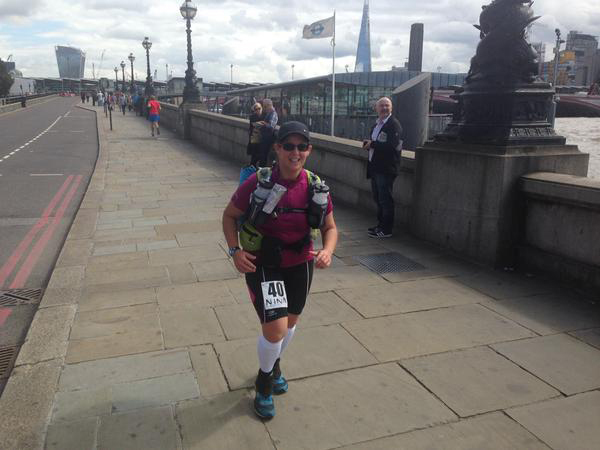 However this year with Spartathlon on the race calendar in a few weeks, I was part of the support team and would have to swallow my pride for another year. 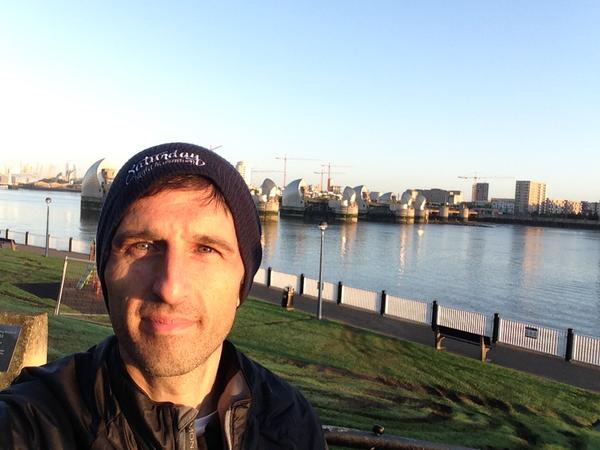 I arrived early on the Friday and was eating my breakfast at the Thames Barrier at 6.30am before we organised race registration. The weather was cool but the clear blue skies suggested it was going to be a warm day. Blue sky at night, Race Directors delight. I was on kit check duty with Archie Stewart and the competitors started to arrive from 8.30am and we worked our way through the list of runners ensuring they had the mandatory items of kit, which largely went without issue. Paul Coker from Rocktape was on hand to attend to any last minute taping needs, Matt & Ellie from Summit Fever Media were also in attendance and shooting a film of the race (can’t wait to see that) and GoTek were in attendance to deal with the GPS trackers. 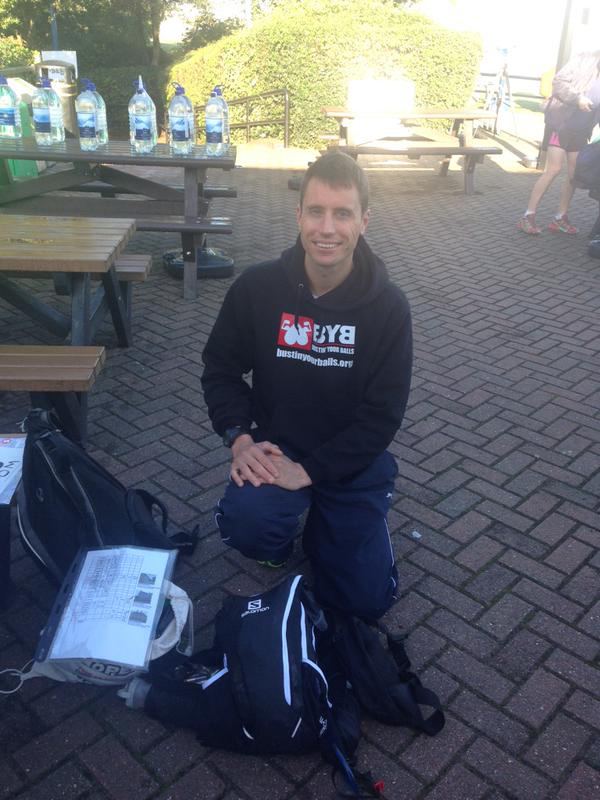 Tom Garrod, first man to pass kit check. 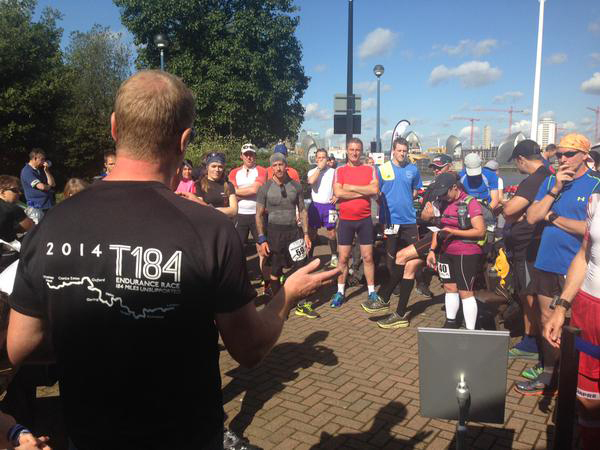 As the 10.30am start time approached, the Race Director Shane gave a fairly lengthy briefing before the runners set off. I was now on photography and social media duties and was going to follow the runners to an interim water point at 12 miles and take various photographs of the runners as they made their way through London. So armed with camera and with running gear on I positioned myself near the start so I could capture the runners at the beginning of the race and then when everyone passed, tried to catch up and grab a few more batches of photographs. As I was stopping to get photos the lead runners were off ahead and I managed to get a few batches of the mid-pack/tail end runners. It was quite nice to share a few miles with people early on. Most people were fairly upbeat about the race although I suspect the full enormity of the challenge hadn’t quite sunk in yet. I ran a short period with a few people and did try and tease Dave “Mr Preparation” Cox a bit by telling him he had dropped his sunglasses at the start and needed to go back and collect them but he wasn’t buying it at all! As it approached midday I was feeling a little peckish and made my excuses to Tom Garrod and Matt Bevan who I had been jogging with and discreetly visited the a Subway for some lunch… I didn’t want to appear to be rubbing the fact that I just had a nice lunch in their faces when they were carrying their own kit and had to reply on random food squashed into small plastic bags in their packs. The Italian BMT was delicious by the way and the cold bottle of coke very refreshing. What are the chances of finding a chair with my name on it? Working through the crowds pre-lunch. As I finished my lunch Nina Smith trotted round the corner and I ran with her for a mile or two until we got to the 12-13 mile interim Checkpoint manned by Nige Webber who was handing out the water supplies. I decided to wait here and grab photos of the remaining runners and post a few tweets. 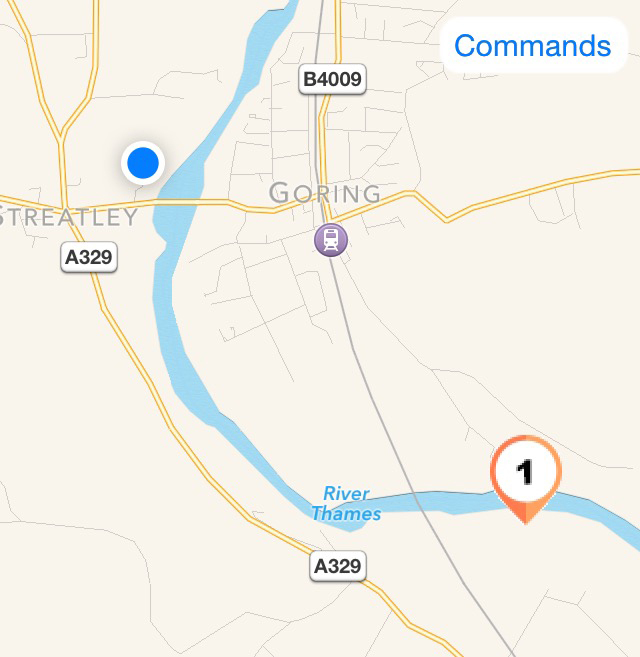 We had a slight concern when a couple of runners had gone onto the wrong side of the river but with live GPS tracking it was easy to spot where they were and after a couple of calls they had been accounted for. Nige and I waited a good hour or so for the remaining runners so it was interesting to see quite a bit of race spread already and I snapped a few more photographs of the runners as they arrived at the Checkpoint. Unfortunately Becky Tackley pulled out at this point realising that it wasn’t on today with a couple of issues as did Tim Landon who hadn’t quite recovered from a previous injury issue, both were fairly relaxed about it realising that you don’t just see out another 170 odd miles or another 3 days. I got a lift with Nige to the first Checkpoint in Brentford (25 miles in) which took absolutely ages. It was stop start the whole way which meant I arrived at the Checkpoint not too long before Nina Smith did and she had run all the way. By this time it was getting near 5pm and time for me to get home. Thankfully the train connections from Brentford to Reading were easy and I got back home by 8pm and then spent the rest of the evening uploading all the photos onto Facebook and putting together a few more race updates. You can see my handiwork on the T-Series Facebook group page. … and the phone rang at 3am to say Mark Denby was just over an hour away. I felt groggy when you are awoken unexpectedly but got dressed and drove to the Streatley Checkpoint which was 30 mins away so waiting for Mark with plenty of time. 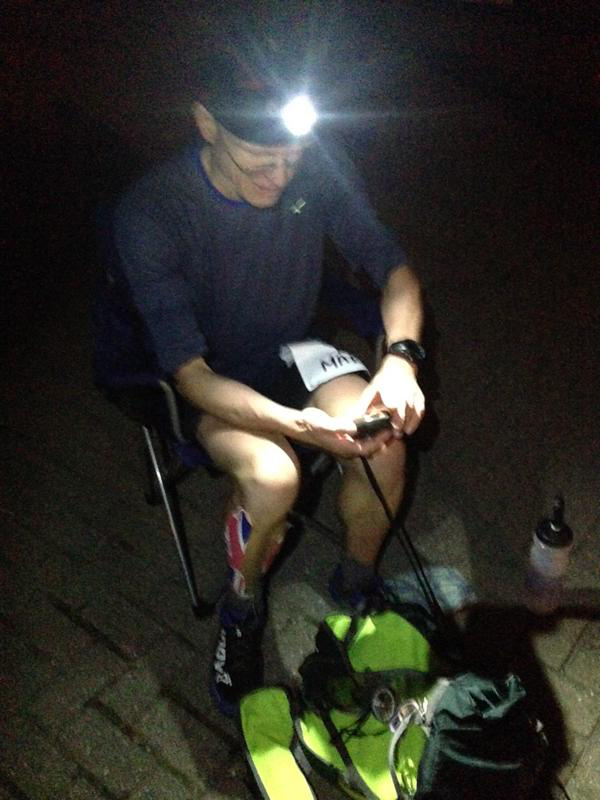 I had a look at the trackers and Mark was way ahead of second place so I decided not to setup the Checkpoint (it was still dark) and grabbed a water bottle and a fold up chair for him to use and waited for him to arrive. 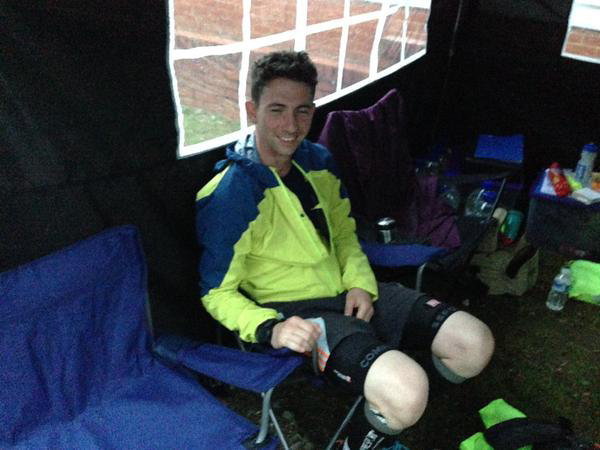 Mark came through at 4.15am (a Sub 18, 100 miler with a 6-8kg pack was impressive). 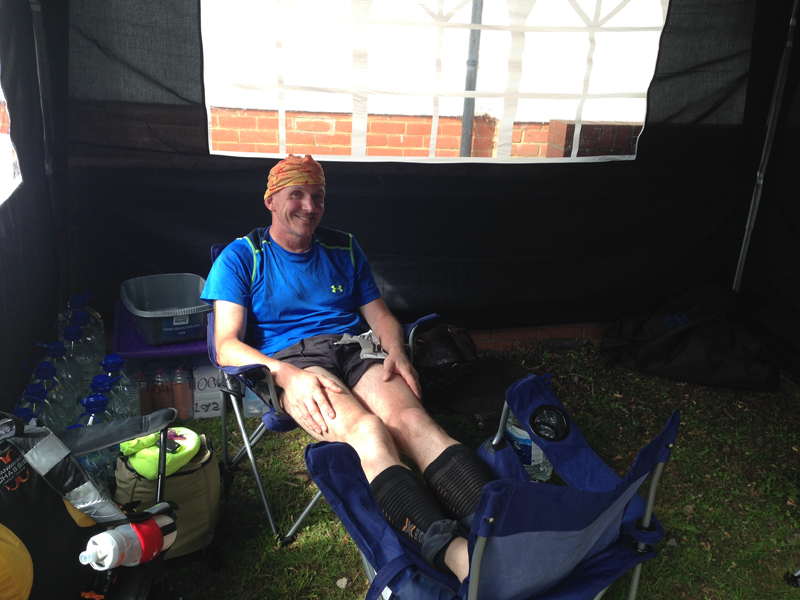 Mark was looking good, relaxed and assured and organised himself at the mini-Checkpoint without fuss although he did mention the issue he had at Reading Festival when the Thames Path was blocked due to this event causing him a couple of mile diversion around this. Mark set off 10 minutes later and I had a few hours wait until the next runner and so I dozed in my car and texted the other half of my Checkpoint support team Janine to stand down for a few hours. Janine and I were planning on being at the Checkpoint the whole time although we also had a number of other volunteers from the Reading Joggers (Steve, Jayne and Mary) plus a few other helpers (Liz, Claire & Partner) scheduled to come along later so had plenty of help. 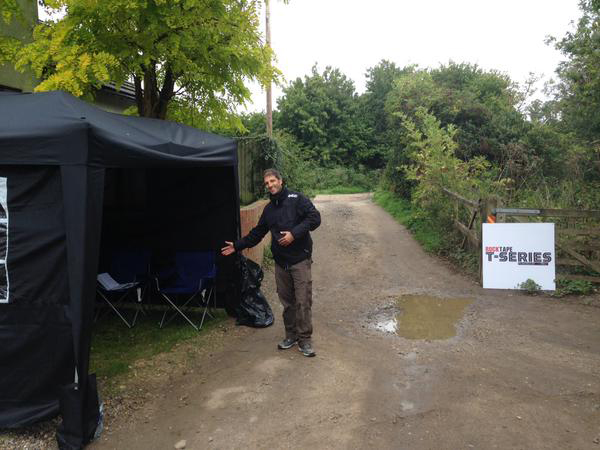 I didn’t really sleep in my car and saw Liz Fretwell and then Nige Webber arriving with the pickup van and we had an early morning coffee before Janine arrived and we then setup the Checkpoint which only took a few minutes to get the gazebo up, chairs unfolded and water bottles ready. 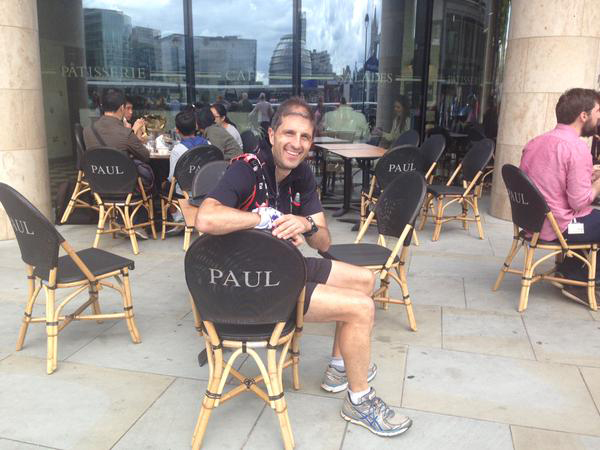 The next runner (Paul McCarthy) didn’t arrive for another 6 hours so we hung around and chatted for a bit. When Paul was due to arrive we saw there were a few people within an hour or so of each other and it was a good time to run out to meet them and snap a few more photographs of them running along the Thames. Mark Denby’s huge lead meant some reorganisation for the crews. 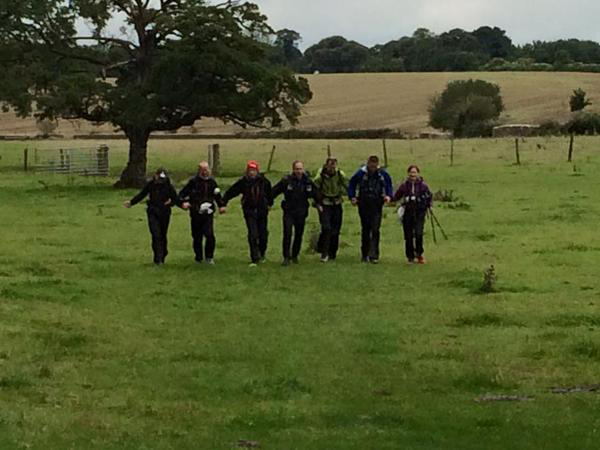 Mark was ahead of schedule but there was such a large gap that we didn’t need to setup the Checkpoint (as we were only providing water, security and morale support). We therefore elected to send an individual car to meet Mark at a couple of the further Checkpoints and give the volunteers a later start. The beauty of the GPS tracker is that you can build a picture of the race at an instant and make these decisions. We had a few dropouts at Checkpoint 4. Kevin Mayo came in near the front but had pushed a little hard at the start and was now suffering. I tried to coax and cajole him into taking a breather and continuing and he rested for a couple of hours before deciding not to continue. I told him he would regret it (knowing from personal experience).. he messaged me the next day and said I was right! 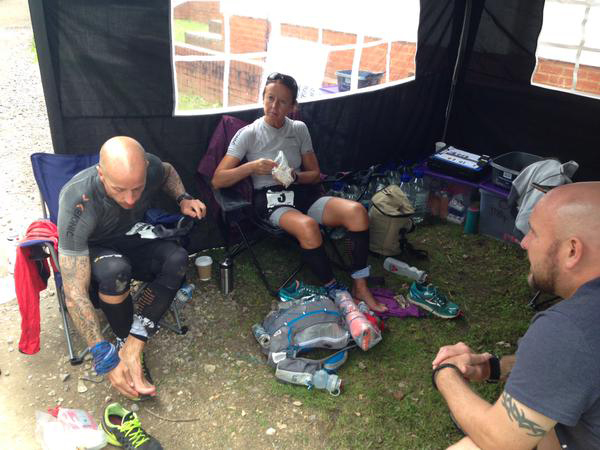 It was also disappointing to see Richard Ebbs drop out but he was suffering physically but promised to be back for the 100-mile version next year in a pairing with his lovely wife Natalie. Richard being sent to the naughty step by his wife. Finally, Tom Kingston also dropped. 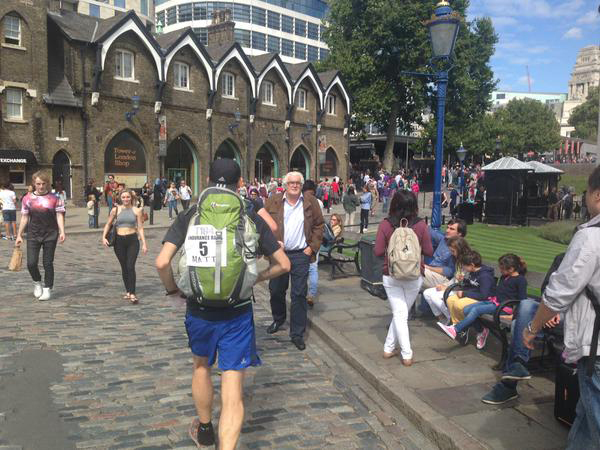 Tom had made a huge improvement on his 2014 effort but sadly his knee had given way and despite some attempts to get him to continue I could tell from his movement that trying to cover another 80 odd miles would have been very difficult. It was a shame as Tom was still alert and in good spirits and it was just the leg preventing him from carrying on. He jokingly asked if we could put down “Sunstroke” as the reason for the DNF as we sat around in the shelter as the rain poured down. Tom is determined to come back next year and complete the event. Tom who braved the elements but sunburn and heatstroke got to him on a wet Saturday evening. 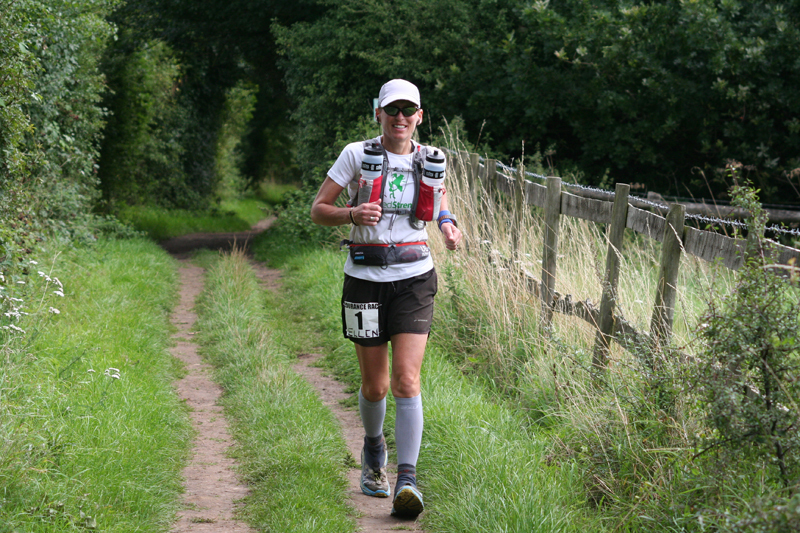 There was a 100 mile version of the race also taking place at the same time but with only a handful of runners. However, it was good to see Ellen Cottom finish in first place followed by Lee Bhagat (the only person in the world to have completed the T60, T100 & T184) and Reece Jacobs finish. The remaining runners left in the race arrived periodically all day although the last 7 or 8 all arrived within an 1- 2 hours of the 11.30pm cut off point as it got dark and started to rain. It was good to witness Ernie, Phil, Christine, Anthony, Dave and Chris Edmonds all working together and keeping each other company. I suspect Ernie was acting as team leader due to his experience and familiarity of the route and despite him indicating to me that he wasn’t sure his Achilles would stand up to another 80 odd miles, I knew he is a determined guy and probably would make it with the responsibilities of leadership upon him now. 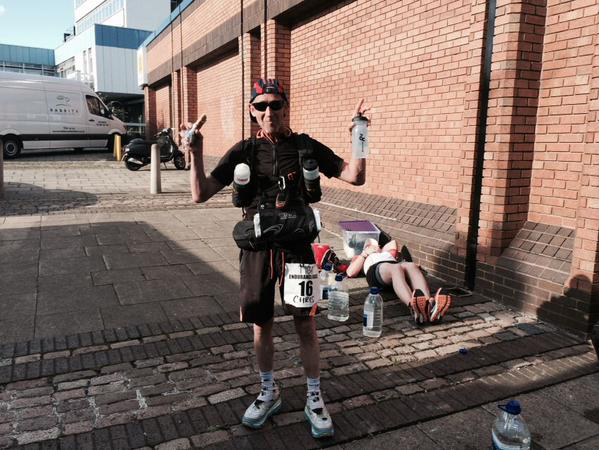 The penultimate runner was Peter Tiffin who wanted a sleep but was concerned about being timed out. I confirmed that he could take his water and officially leave the Checkpoint and then bed down in the paddock area which was open for use and he would just have to make up the time before the next Checkpoint and not to be surprised if the Checkpoint was closed and the crew had gone back to bed themselves! The last runner to arrive was Reading Jogger (we don’t mention the dual membership with Reading Roadrunners!) Christina Calderon who arrived moments before the cut off and I had a quick chat to assess how she was. 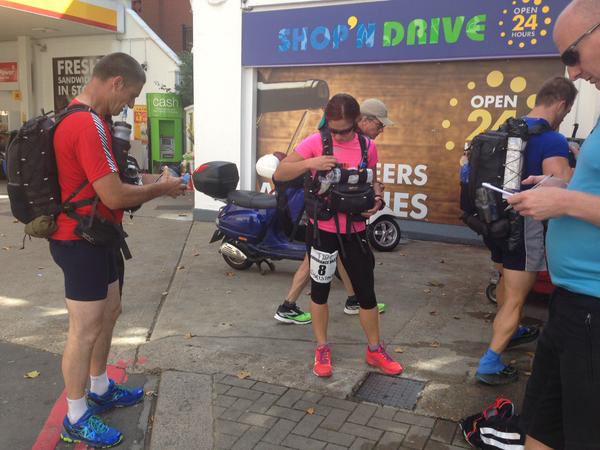 Christina had been taking a steady pace, had slept and was looking ok so no reason to be concerned and she took some water from the Checkpoint (and officially left the Checkpoint) before taking a few minutes to organise a meal. I waited with her with a few of the other Reading Joggers and then escorted her to the Thames Path and onto the river before heading home just after midnight. That was a long day 3am to midnight! Well that was my shift over… Well not quite as I spent the next two days on and off the computer watching the GPS tracker and periodically posting photos, updates and tweets to keep people updated on runner’s progress. 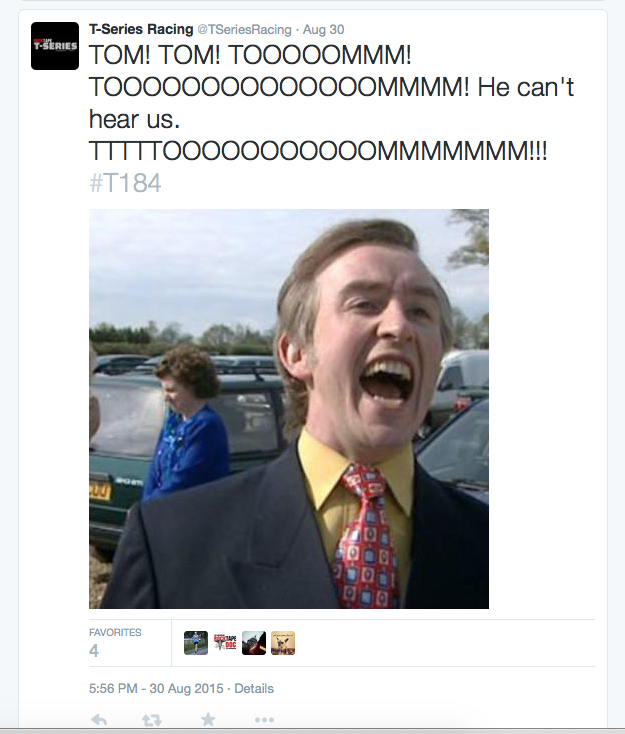 You should check out my tweets at @tseriesracing, comedy gold I tell ya. Mark Denby had stormed the race beating the previous course record by a few hours finishing in just under 41 hours some 15 hours ahead of the next person. 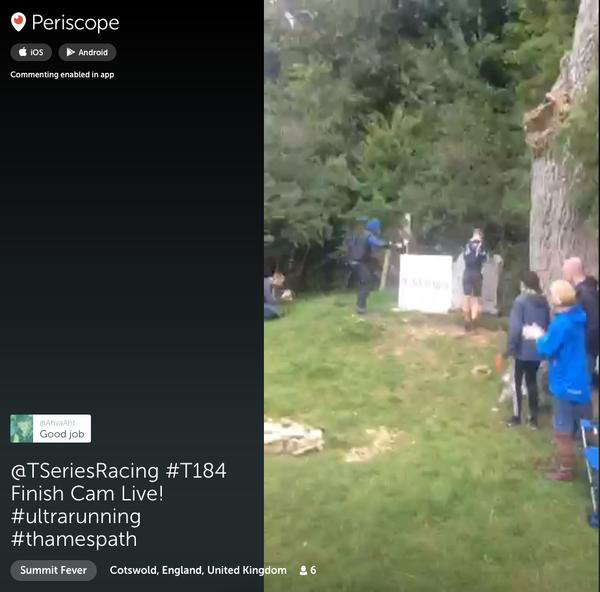 Summit Fever kindly arranged to do some live streaming at a couple of points at the end so I witnessed Tom Garrod finishing in second. A little while later Alan Cormack finished and then in the morning I saw there had been a few more finishers including Lee Sutherand, Dave Cox, Jane Benson and Jerry Hunter. There was quite a long wait until Johaan Swinnen came in the next morning and finally there was quite some excitement as almost all the remaining runners had bandied together to form a small posse and were finishing together. 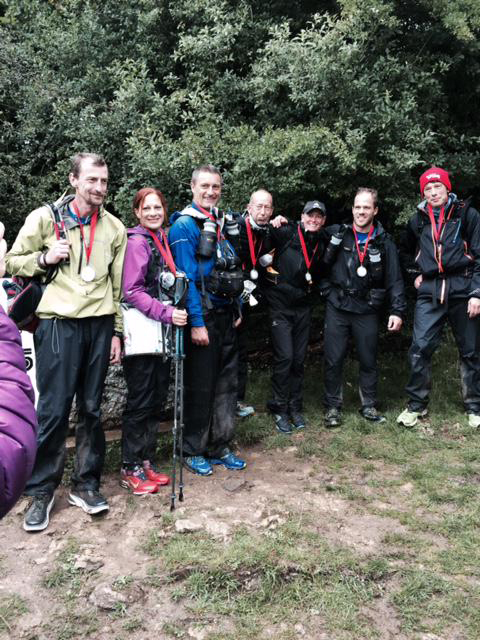 So well done to Dave Baker, Christine Buckledee, Chris Edmonds, Philipp Studt, Anthony Hugill, Ernie Jewson and Christina Calderon. Some official footage has been captured by Summit Fever but here’s a link to the group finish together captured on camera phone by a spectator which was great to watch. Finally, our last man Peter “The Tiffinator” Tiffin came in with an hour to spare. He had been pushing the Checkpoint 7 cut off time pretty close but had now got maximum value for money with a just under 79 hour finish. The race had gone pretty much without incident from an organisational point of view and this blog doesn’t do justice to all the volunteers who gave up a lot of their time over the long weekend (all 4 days) to support the race from Checkpoint crew to baggage handlers to pick up drivers. It was a pretty tiring weekend for me (although putting together the social media updates with tea in one hand and biscuit in another in the warmth of my house on Days 3 & 4 was particularly challenging) but good to witness people’s T184 journey.